Bristol, TN/VA -- The Birthplace of Country Music regretfully announces that headliner Loretta Lynn will not perform at this year’s Bristol Rhythm & Roots Reunion music festival. Nashville, TN -- It can be tough to be in the music industry and have access to quality healthcare. Whether you are an artist, business owner, event producer or whatever your role in the industry, it can be a challenge to keep yourself healthy and find affordable providers for your healthcare needs. Junior Sisk will undergo surgery next Thursday, February 12, 2015, in order to fix a bulging disk in his neck that is causing a pinched nerve in his right arm and fingers. Sisk says that he will not be canceling any shows, and plans to be back on stage March 6 and 7 to perform at Bluegrass on the Beach in Lake Havasu, Arizona. Last year, Blake Johnson became seriously ill with a blood disease that landed him in the hospital for an extended stay of 8 weeks in Duke University Hospital. This forced him to be off the road and the band continued with a replacement. The band is happy to report that Blake is well and back performing in his role. Russell Moore wrote, "We are so thankful to have Blake Johnson back on the road with us! He's doing wonderful, recovering well, and singing and playing better than ever! We already performed our first show of the new year at a place that is very dear to our hearts, Galax, VA."
Le Puy, France -- Powerhouse Bluegrass group Blue Highway is currently in France for a two-week tour with stops at the Country Rendezvous Festival in Craponne and the La Roche Bluegrass Festival in La Roche. Following a high octane first night's performance by the band, reflecting their energized current #1 album "The Game," Blue Highway's heralded banjo player and vocalist Jason Burleson awoke ill this morning with what has been diagnosed by physicians in Le Puy as a stomach ulcer. 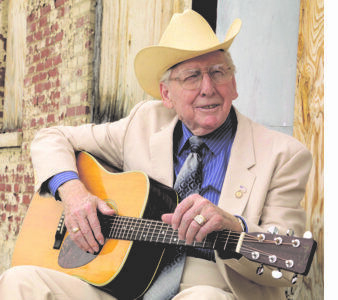 A year ago, Cybergrass reported that bluegrass legend Curly Seckler, 94, was at home recovering from a minor stroke which resulted in issues with speech. We just received word that Curly Seckler has suffered another stroke on June 1. This stroke was more severe and and that he has partial paralysis on the left side of his body. He is currently in a rehabilitation center in Hendersonville, TN. We're not sure how long he will need to be there. One of our favorite bluegrass artists, Charlie Sizemore, is still experiencing health issues that began last year. Mid 2013, Charlie cancelled all of his scheduled performances. Bluegrass duo Feller & Hill graciously will be filling his performance slots. Charlie remains quite ill as we approach mid 2014 - nearly a year since he announced his health concerns. Lonesome Pine RFD Bluegrass DJ, Carol Beaugard, has been keeping us posted on Tex Logan. At this time of the year, he probably needs a bit of cheering up. Christmas Carol says, "Beloved legendary bluegrass fiddler Tex Logan who composed the classic 'Christmas Time's a Coming' is in a rehabilitation center. He will be coming home after Christmas. Let's give Tex the gift of love this holiday - will you write him a Christmas card? the address is noted in this message from his daughter Jody. Wouldn't it be great if he could receive 1,000 cards before Christmas?! Please share this and let's make this the most magical time of the year for one of our best." Nashville, TN -- Last Thanksgiving, Buddy Melton was simply grateful to be alive. This year, he’s eager to share new insights after triumphantly returning from life-threatening injuries sustained in an accident on his farm. His nose, forehead and right eye socket were shattered when a cow kicked a heavy metal gate, which struck Melton in the head. The singer/fiddler endured a 10-hour reconstructive surgery, months of recovery, and lost more than 30 pounds. He continues to deal with medical issues including loss of taste and smell, and facial numbness. Music & Memory is a non-profit organization that brings personalized music into the lives of the elderly or infirm through digital music technology, vastly improving quality of life. Music & Memory is "re-awakening" elders with Alzheimer's through personalized playlists -- has received financial backing from the Wisconsin Department of Health Services and the Healthcare Foundation of New Jersey. The Eureka Springs Bluegrass Festival has announced a change in the headline act for the Auditorium show on Saturday, August 17th, 2013. Due to serious health issues, Jesse McReynolds will be unable to perform. 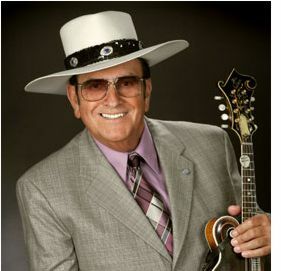 But the show must go on and another Bluegrass legend, Bobby Osborne, will be filling McReynolds' place for the festival. Osborne and his band, the Rocky Top X-press, will now be performing as part of the 2½ hour show.